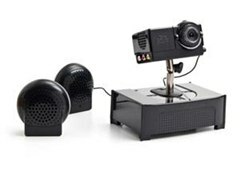 The EyeClops Mini Projector looks more like Wall-E than a movie projector, but it can be used to watch videos directly from your Apple iPhone, iPod Touch, Xbox 360, PlayStation 3, DVD player and even your laptop computer, by way of RCA connection. Its LED technology can project images up to a 60-inch screen size, though some of use would bicker at 5-feet of viewing space, especially when its resolution is only 360x240. 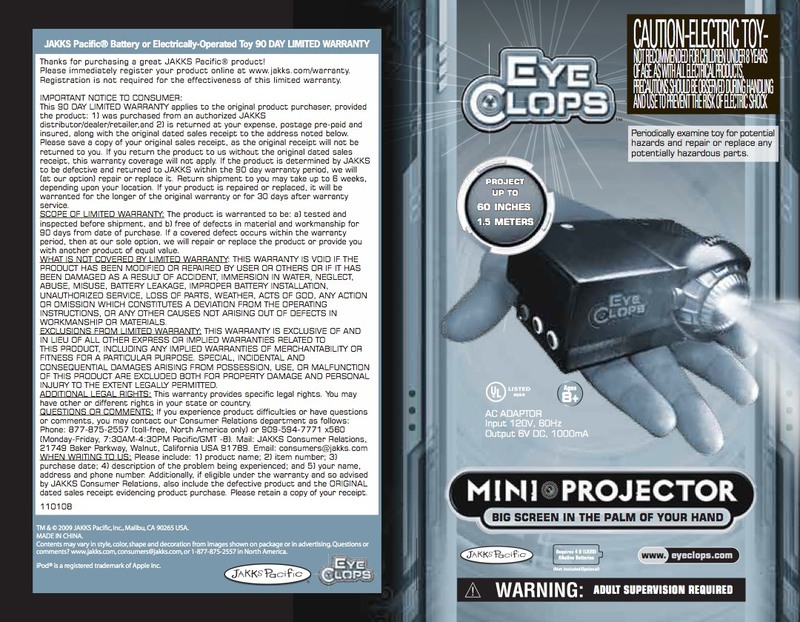 Nonetheless, the EyeClops Mini Projector is sure to be a big hit for the holidays, since its recent reduction in price across the board. Today, Woot's selling one for less than 30 bucks total, which makes it well worth it, especially as a stocking stuffer, no matter if you're a video game addict or technology whore. Amazon has it for $38 + shipping right now, also. 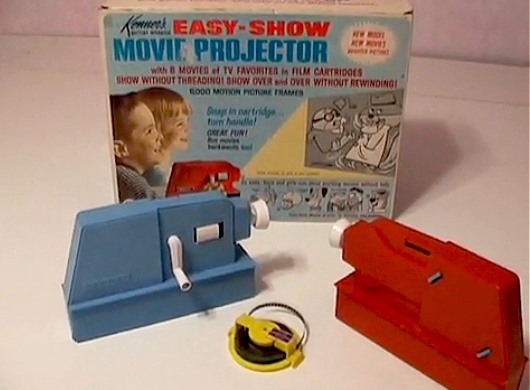 It's not quite the Kinect, but perhaps you can still have some fun hacking this mini projector. It fits in the palm of your hand; so do the speakers, which isn't really a good thing when it comes to sound. And it comes with an AC adaptor and a battery base. 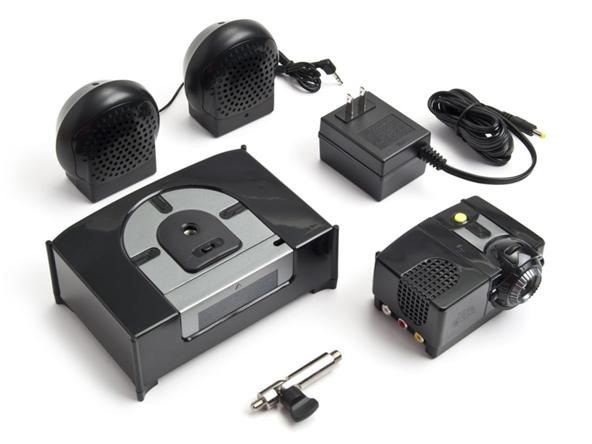 If you're not hacking this miniature bundle of LED fun, but rather plan on taking your Xbox 360 with you on your next camping trip, here's some helpful information to get you started using your EyeClops Mini Projector from JAKKS Pacific. 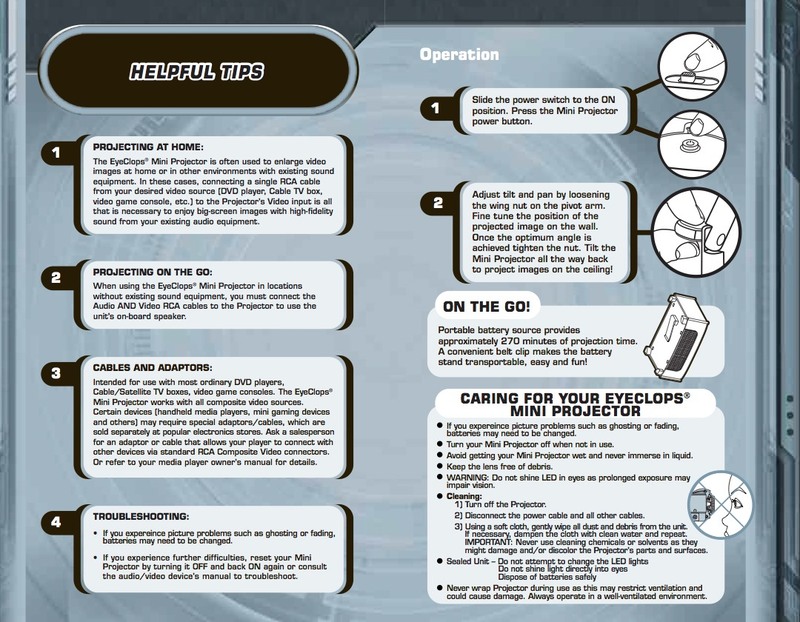 Watch the how-to video and check out the instruction manual below. 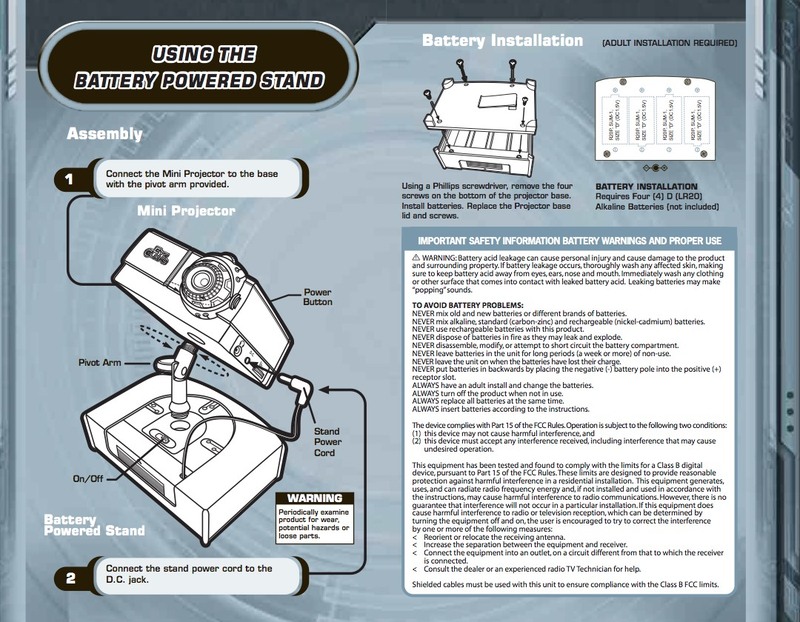 Be aware though, this projector does not include any needed RCA cables. Also, scroll down to the end of this article to see the features, along with some reviews and demos. But sorry, no hacks as of yet, which is somewhat surprising. 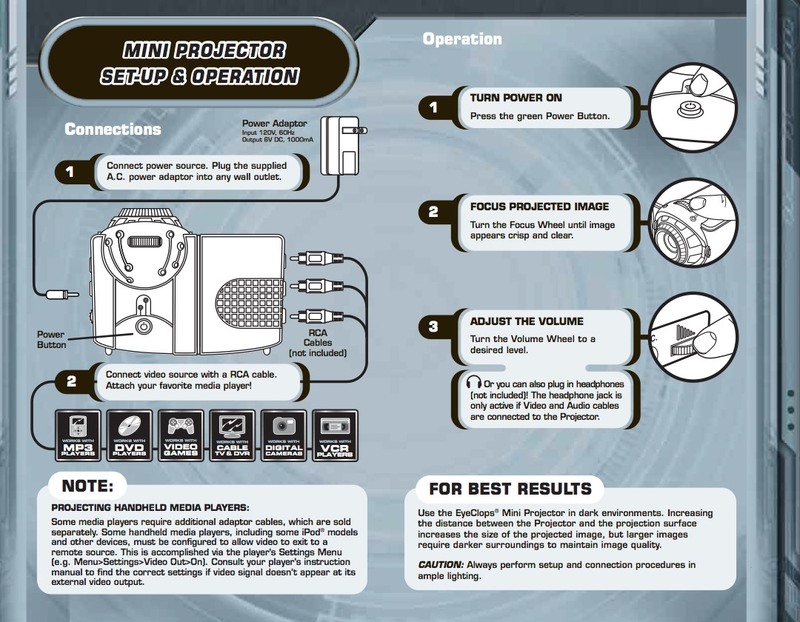 Do you have a hack for this mini projector? Do you plan on hacking it?